One of the most prominent names when it comes to aviation, Alberto Santos-Dumont was a well-known Brazilian aviator. He captured the attention of Americans and Europeans with his airship flights. Dumont was the first to achieve flight of a powered airplane with his 14-bis biplane in Europe. 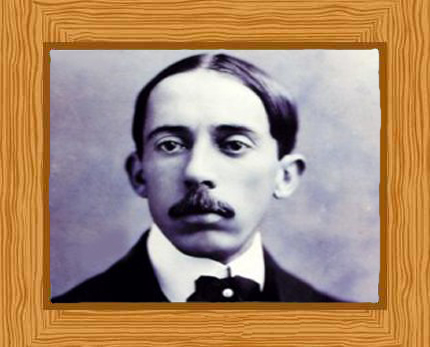 Born on the 20th of July in 1873, Alberto Santos-Dumont was the heir of a rich family who produced coffee. His birthplace was in the village of Cabangu in the State of Minas Gerais in Brazil. Today, this farm still exists and is called the Santos-Dumont farm. He was the 6th out of eight children, and while he was still young, he was taught how to drive the locomotive and steam tractors which were used in the family plantation in Sao Paulo. He had always been fascinated by machinery and in his autobiography he wrote how he had dreamt of flying. His father was a French-born engineer and made use of the best possible labor-saving machines and inventions on his property. Because of this, Alberto’s father amassed a huge fortune and was also sometimes called the “coffee king of Brazil.” Alberto initially received education from private teachers as well as his parents which was normal for wealthy families at that time. For a while he studied at the “Colégio Culto à Ciência” in Campinas. Dumont’s father became a paraplegic after falling from his horse in 1981. When Dumont turned 18, his father decided to send him to Paris while the rest of the family moved to Europe after his father’s accident. In Europe, he had exposure to physics, chemistry, mechanics, electricity, and astronomy. Shortly after their arrival, Dumont bought his own automobile—indicative of his love for transportation and machines. Dumont described himself as the very first “sportsman of the air.” The very first flying experience he had was with an accomplished balloon pilot from whom he learned about hot air ballooning. Not long after, he began piloting balloons by himself and then he began designing his very own balloons. He flew his very first balloon called “Bresil” which had the capacity of 113 cubic meters and was able to lift ballast which weighed 114.4 lbs. This first flight took place on the fourth of July in 1898. After a number of balloon flights, Dumont decided to design steerable balloons, which were called dirigibles. Instead of just drifting where the wind took it, dirigibles can be propelled in the direction the pilot wished them to take. A previous experiment about dirigibles had already been successfully flown back in 1884 by Arthur Krebs and Charles Renard, but they lacked funding to continue with the exercise. From the years 1898 up to 1905, Dumont was able to build and fly a total of 11 dirigibles. Since air traffic control still wasn’t an issue back then, he was known to float at rooftop levels around Paris and would even land near an outdoor café where he fancied having lunch. Dumont decided to build a bigger dirigible in order to win the Deutsch de la Meurthe prize and this led to the development of dirigible No. 5. On one of his attempts, on the 8th of August 1901, his dirigible unfortunately lost gas and began to descend without being able to clear the area—it therefore hit the Trocadero Hotel roof and a loud explosion was heard in the surrounding area. Dumont survived this explosion and was helped to safety by the Paris fire brigade. Despite this far from satisfactory attempt at winning the prize, he was still able to take the Deutsch de la Meurthe prize on October 19 of the same year with dirigible No. 6. The prize was awarded for the first flight which took off from Parc Saint Cloud and then circumnavigated after reaching the Eiffel Tower within just 30 minutes. There was controversy surrounding the flight, regarding a last minute rule about the precise timing of the dirigible’s flight. After several days of validation and discussion by the committee for the prize, Dumont was awarded the prize and the prize money which totaled 125,000 francs. He donated 75,000 francs to the poor people in Paris. Because of his feats in aviation, Dumont became known all over the world and associated with the rich and the elite. He won several other prizes for his airships and was even invited by none other than then U.S. President Theodore Roosevelt himself to the White House. His fame made him a sort of celebrity, and Parisians called him “le petit Santos” in an affectionate manner. Even his fashion statement was mimicked by people—including the signature Panama hat he wore. He is still considered as one of the most prominent “folk heroes” in Brazil today. After his evident success in lighter airships, he then focused his attention to giving flight to heavier vehicles. In 1905, he was able to finish his first design for a fixed-wing aircraft along with another design for a helicopter. 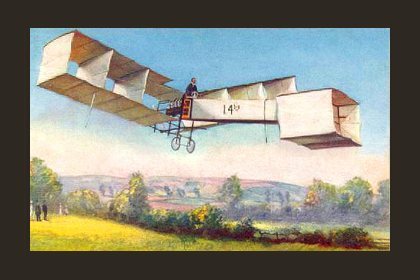 On the 23rd of October in 1906 he was able to realize his dream of flying a heavier aircraft called the 14-bis. The biplane frame design was a multiple box-like structure to give it strength and it was powered by a V8 engine. The frame was constructed with aluminum sockets and was made of bamboo and pine. This frame was then covered in silk. He flew it in front of an audience and the flight had a distance of 60 meters while being 15 feet high in the air. Santos flying in the 14-bis. This was a very well-documented event and it was also the first flight to have been verified by the Aéro-Club de France. Another record set by Dumont was being able to fly a distance of 220 meters in just 21.5 seconds, and this was credited by the Federation Aeronautique Internationale. He created several other aircrafts, and along with those inventions, he popularized the newly invented wristwatch since he needed to measure the flight time intervals. He popularized its use by men back in the early 20th century, and Cartier came up with the brilliant solution of having a leather-strapped wristwatch which would allow Dumont to check the time while keeping both hands on the plane controls. After that, Dumont never took flight without his Cartier watch. There were mysteries surrounding his death in 1932 – there were several theories which included suicide and murder. He was buried in Rio De Janeiro and his own house in Petrópolis, Brazil is currently a museum.